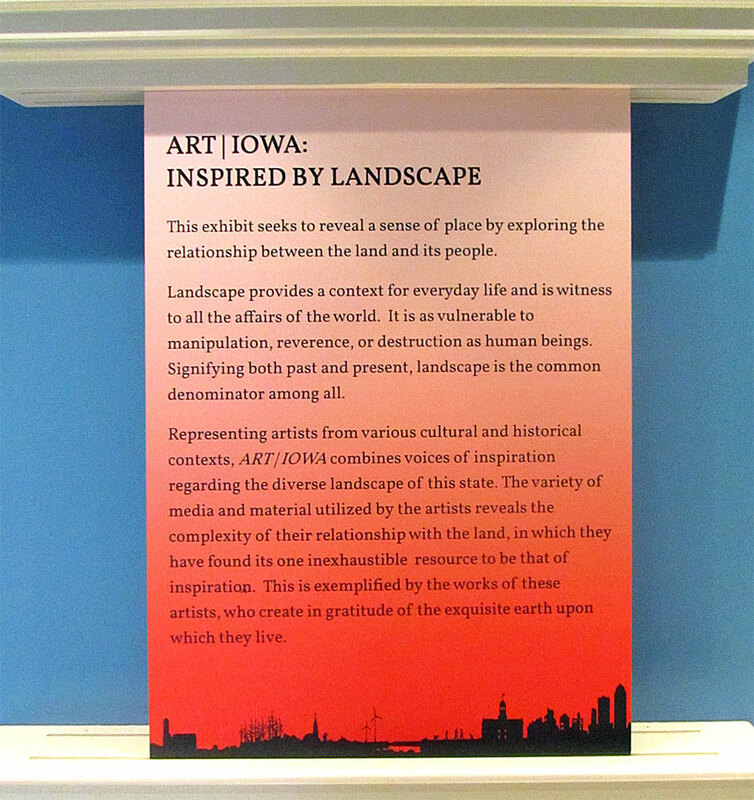 ART | IOWA:INSPIRED BY LANDSCAPE displayed works of art from the Meskwaki people of Iowa and prints by Grant Wood, the iconic regionalist painter of American Gothic, juxtaposed with works from contemporary Iowa artists featured on the University of Iowa’s Daily Palette, an online project started by the Experimental Writing Wing at the University of Iowa. 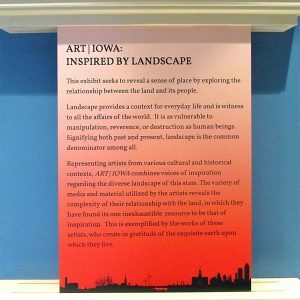 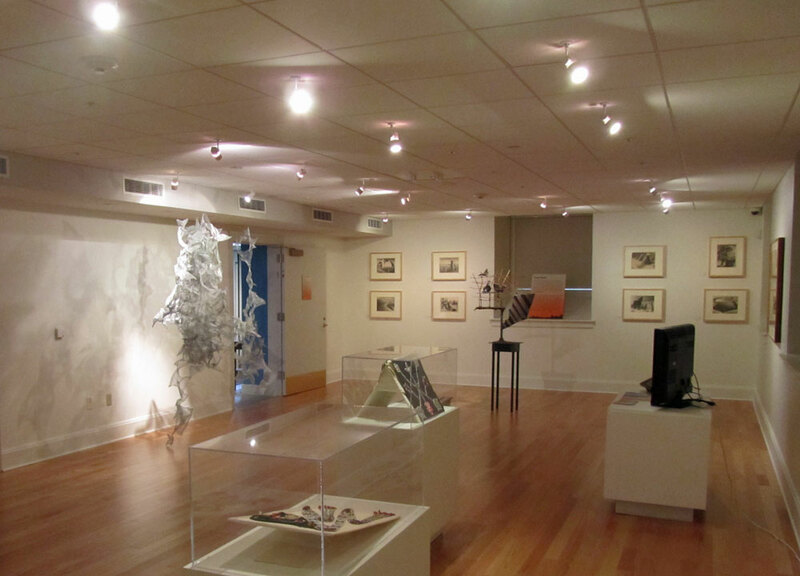 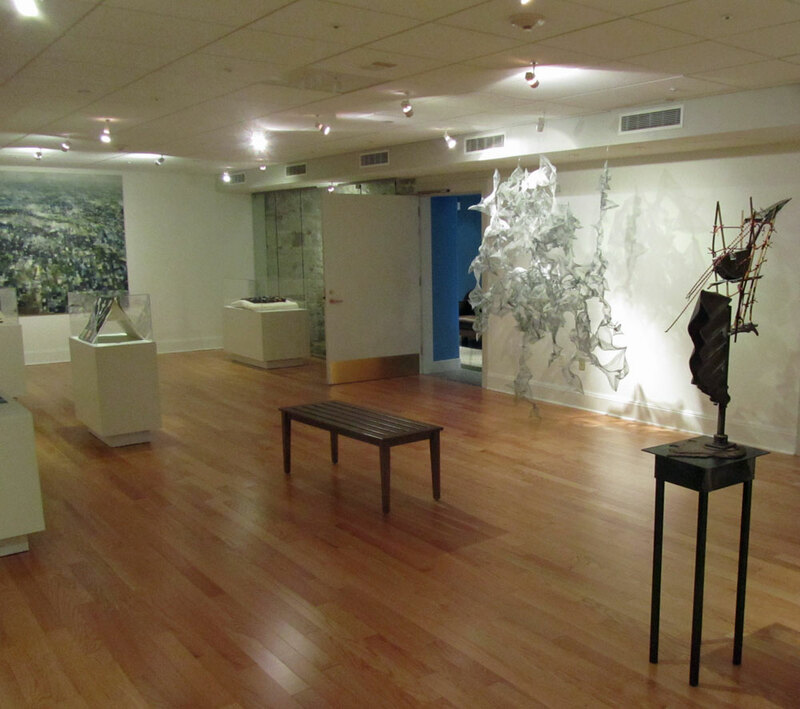 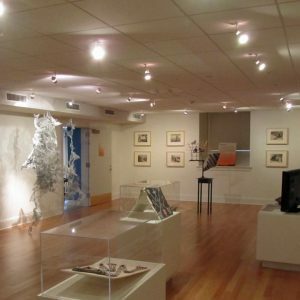 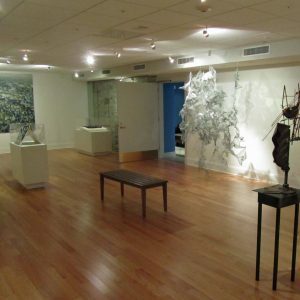 The exhibition was on display at the Old Capitol Museum, Iowa City, Iowa. 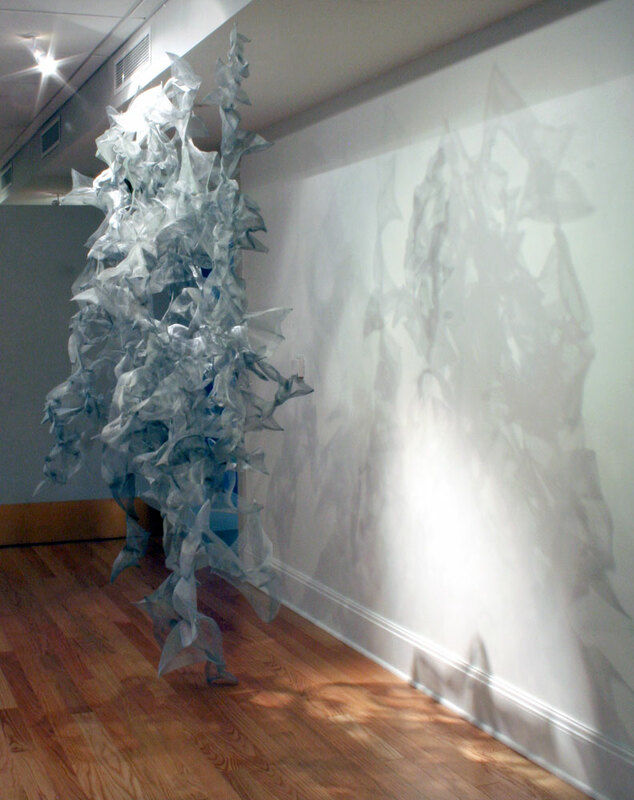 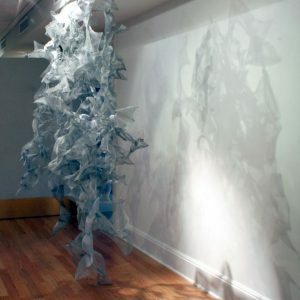 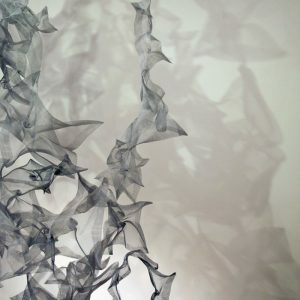 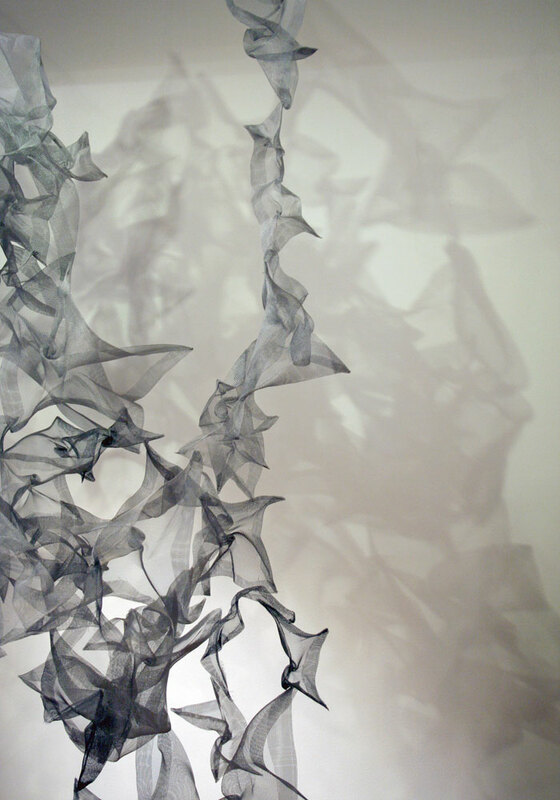 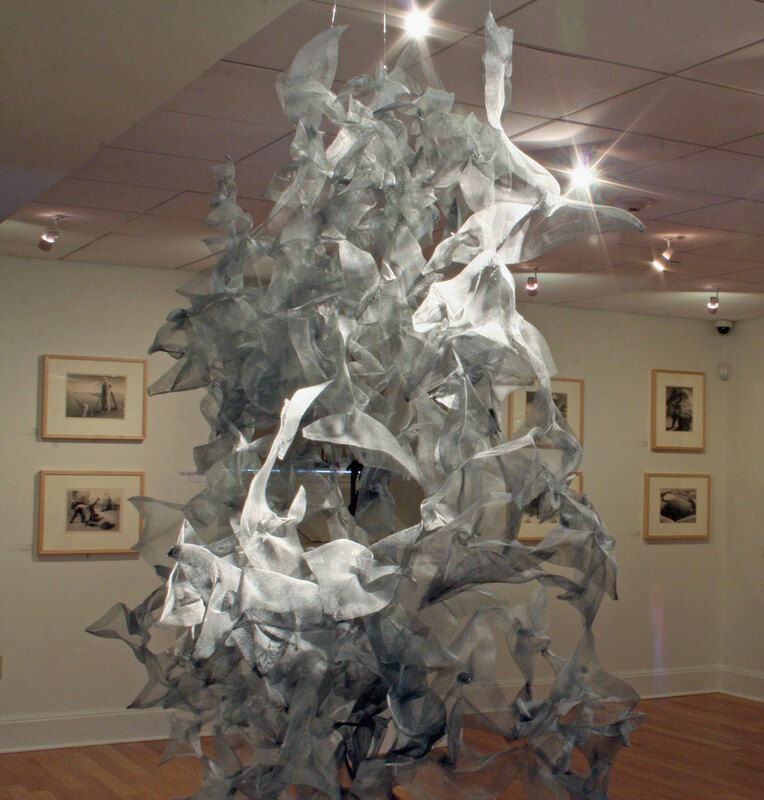 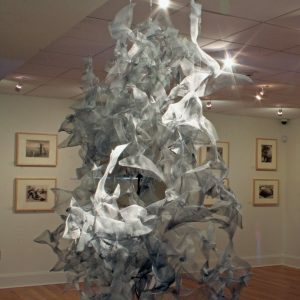 For this show, the artist created Star Flock V, a suspended sculpture which explores patterns and movement in nature without specifically depicting one structure or creature. 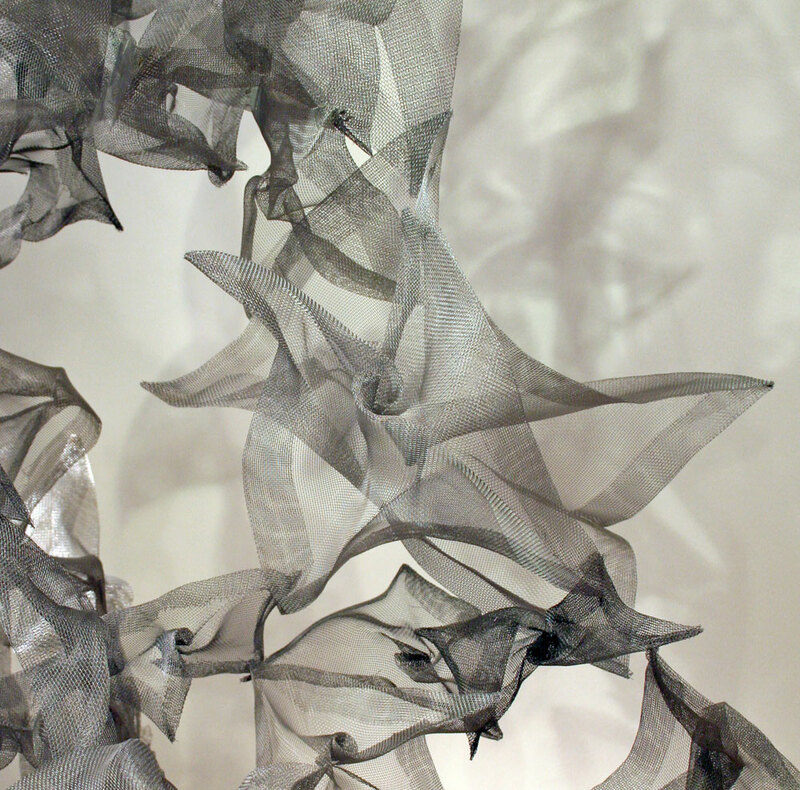 This artwork alludes to phenomena as varied as groupings of celestial bodies, the flight of birds and butterflies, and drizzling rain. 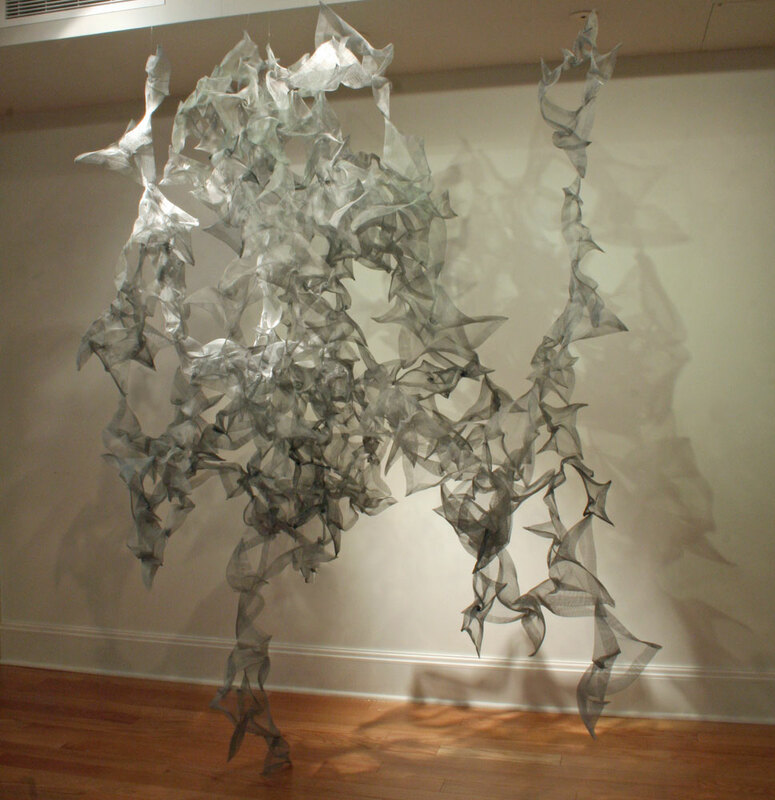 To see a variation of this sculpture see the exhibition Night Crawlers.